Over sixteen million is a big number, and changing more than sixteen million lives is no mean feat. So when Our Children’s Vision, a global campaign to provide eye care to young people, co-founded by Brien Holden Vision Institute and Essilor’s strategic giving fund Vision For Life in April 2016, hit their 10 million children target in its first year, it was certainly a cause for celebration. The additional 6.5 million is an indicator that they are onto something big. But with impaired vision remaining the world’s largest disability, this success is the first step and not the finish line – the campaign’s end goal is to reach an ambitious 50 million children by 2020. It seems simple, but uncorrected poor vision derails billions of lives. Restoring sight is the single most cost-effective health intervention when it comes to improving academic performance. 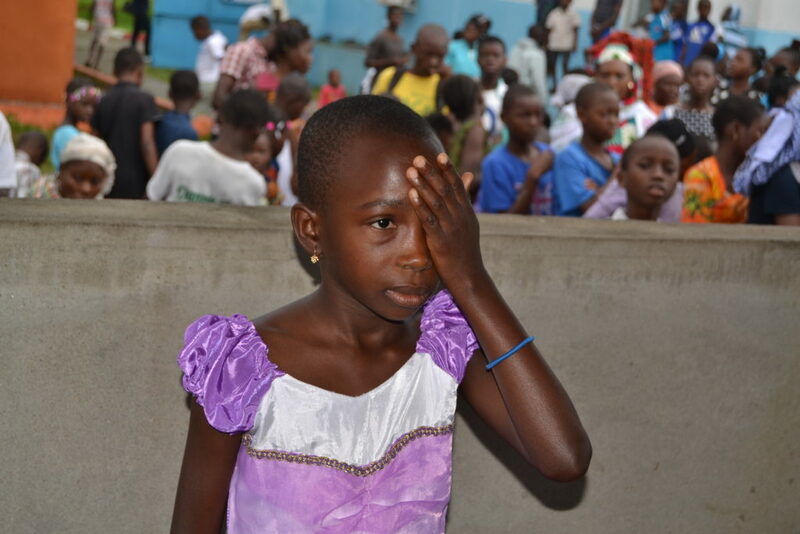 Yet tens of millions of children are currently struggling with uncorrected vision. To bring awareness to this problem and to help create the solutions required, Our Children’s Vision has created a coalition of over 60 partners in 25 countries. Although, in principle, the goal of Our Children’s Vision is a number ­­– 50 million children reached by 2020 – the real measure of our success is shown through the stories of the children that our coalition of partners have treated. Whether it is by improving their ability to learn, unlocking job opportunities in later life, or simply allowing them to play confidently with friends, access to vision care is the key that unlocks improvements in almost every aspect of these children’s lives. If your sight is good enough to read this article, it may be difficult to imagine how socially isolating poor vision can be. For those already living in the remote villages where Our Children’s Vision partner Fundacion Zambrano operates, bad eyesight combined with unlit gravel roads can be an insurmountable barrier to travelling or even socialising. Clara Federico, Program Manager with Fundacion Zambrano, explains exactly how transformative vision assessments can prove in small villages. All he needed was eyeglasses and some visual exercises to change his life completely. We can help integrate a child to their group just by giving them eyeglasses or detecting they are not seeing correctly. Perhaps the clearest evidence for the ‘much more’ that Our Children’s Vision coalition partners do can be seen in the impact on children’s education. It is suggested that approximately 80% of what a child learns is processed visually, which is one of the key motivations for the campaign to increase the focus on eye health in school health programs. School health teams can play a vital role not only in identifying problems, but ensuring that screenings are followed up with treatment. That’s just one of the issues that a pilot initiative in Paris with Our Children’s Vision co-founder Vision for Life and the Paris Education Authority aims to address. Although all French students are supposed to have their vision tested at the start of middle school and high school, only 40% of children identified as needing vision correction will receive it. The Paris initiative brought together over two hundred doctors and school nurses to provide practical support in detecting and correcting vision issues in students. Good vision is a tool, and by making it easier for boys and girls to learn, we can set them on the path for future success. While work in western countries is important, developing countries are home to 90% of all people with vision impairment. 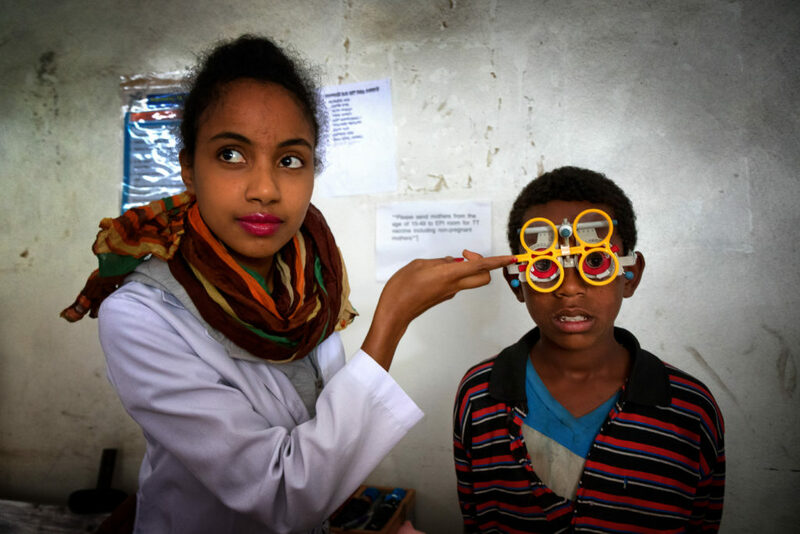 In Ethiopia, for example, where Our Children’s Vision partner Vision Aid Overseas (VAO) works, Children there are ten times more likely to go blind than their first world counterparts, making VAO’s initiative to train teachers in vision screening even more vital. The results speak for themselves – of the 2,569 children treated as part of the Ethiopia project, 73% have since showed improvements in academic performance. Good vision is a tool, and by making it easier for boys and girls to learn, we can set them on the path for future success. One of the challenges children face is a lack of available resources to provide the services needed, not enough trained practitioners, limited budgets, large distances, so how can we overcome this and give children the care they need. The simple answer is at school – integrating eye health initiatives into already existing school health programs will see children attending school receive not just care, but the same standard of care. Whether a child is in a private school in Johannesburg, or a government school in Brooklyn, they are getting consistent, reliable eye health services. 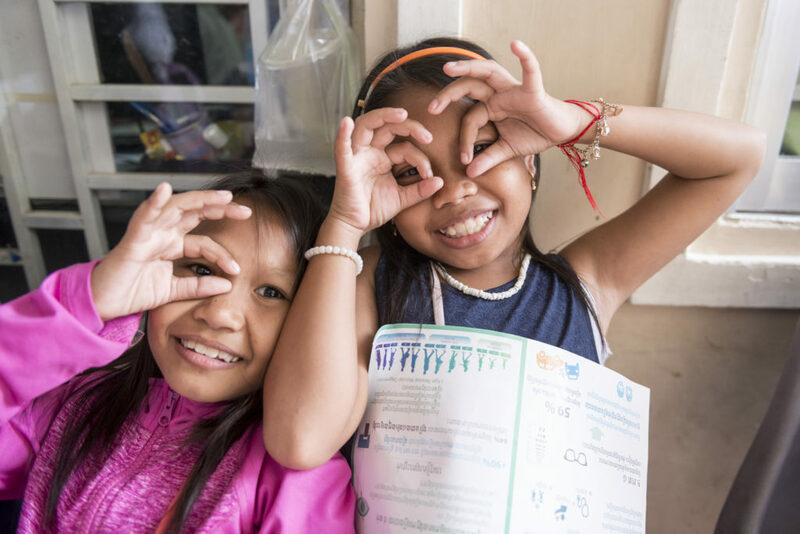 This year Our Children’s Vision supporters, International Agency for the Prevention of Blindness (IAPB), introduced a School Eye Health Working Group made up of thought leaders and development experts. This team will determine the best practice for school eye health integration globally and will guide how eye care is delivered within the school system. The Brien Holden Vision Institute, Our Children’s Vision campaign co-founders, have been working in child eye health for over ten years. In that time, has become obvious that eye health should not be a ‘stand-alone’ service but should be included as part of all children’s health checks. Including eye health in school health interventions is a key way to achieve this. This also enables health providers to maximise their limited resources to reach more children. Our Children’s Vision partners, Vision Spring employ school eye health models throughout India. Their programs Vision Access, Project Vertical and Kids Access, provide eye care to students within the safety and stability of their schools, and as a result distribute thousands of glasses every year to children who otherwise, would not necessarily have access to care. From a purely economic perspective, the loss of productivity, caused by uncorrected impaired vision amounts to $272 billion a year. Ultimately, our definitive triumph won’t come when we meet our 50 million goal in 2020. It will come much later, when child eye health is an integral part of school health policy in every country, and when the children we are treating today have grown into educated, well-adjusted adults who are able to reach their full potential and give back to society. From a purely economic perspective, the loss of productivity, caused by uncorrected impaired vision amounts to $272 billion a year. Beyond this, there is the unquantifiable gift of opportunity. In ten, fifteen, or twenty years’ time, a girl who is provided with glasses this year by our partner Fudem in El Salvador may have used them to study hard and become a ground-breaking scientist. A boy who has his eyes tested by Layton Rahamatulla Benevolent Trust (LRBT) in Pakistan because his family cannot afford private eye care may one day return to them, trained as an ophthalmologist himself. The work being done today will have positive ripples throughout society for decades, which is why we won’t rest on our laurels until – with the help of our partners – we meet our goal of reaching 50 million children. And on the way, we will work tirelessly to increase awareness and understanding of the importance of access to eye care for children in schools and beyond. When Our Children’s Vision was launched in 2016, we knew that our goal of bringing eye care to 50 million children by 2020 was ambitious. And we fervently believed that through hard work and partnership, it was also achievable. Now, one year on and with 16.5 million children later, we are on track to make this goal a reality – but we still need help along the way. As of today, we are working with more than 60 partners, including Global Partnership for Education, Special Olympics, Save the Children, REVO, CBM, Prevent Blindness, Helen Keller International, and the list goes on, but we don’t want to stop there. There is scope for more! Whether you’re an NGO, a health practitioner or a teacher, or if you’ve simply been moved by our mission – we need your support to change fifty million young lives for the better by 2020. Join the movement and learn about our new initiatives by visiting ourchildrensvision.org/get-involved. Released a free resource “The Standard Guidelines for Comprehensive School Eye Health Programs” for public download – launched at IAPB’s 10th General Assembly in 2016. Eyelliance, Glasses Change Lives. Eyeglasses for Global Development: Bridging the Visual Divide. World Economic Forum, 2016.